Vipava Valley is a region in west Slovenia that hides a world of hardworking people, fertile nature and fresh burja wind. A composition that will leave a sign in each bottle of wine and in its winery. Vipava was home to the author of the first Slovenian book about wine production, written in 1844 by Matija Vertovec. 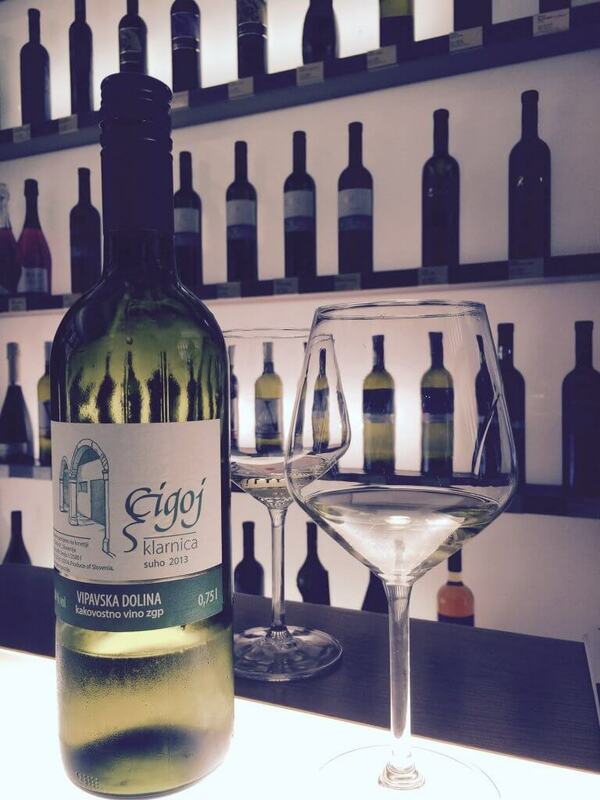 Wine production has a long tradition in this region, which can be seen still nowadays, when it is said that Vipava region has the largest percentage of vineyards per person in EU. Starting the tour of Vipava Valley, the first stop should be the tourist information center, where a selection of maps and brochures about the region can be found. Next stop should be one of the compact villages, characterized with its traditional architecture, which offered a protection from the wild burja wind with its well protected courtyards by all four sides and majestic gates that hide its interior. The roofing tiles, covered by heavy stones, are the best protection to avoid the roof to fly away with the burja wind. The whole village life is surrounded by nature, vineyards, fruit orchards, blooming gardens and vibrant birds twitter. The region is home to some of the best wineries, that produce wine from the autochthonous vines as pinela, klarnica and zelen. The latter is known for the bright and light green color, that characterizes the wine. Its fresh and powerful aromatic body makes it full at taste and leaves a long flavor. The vine was mostly forgotten, due to other more known sorts, but now it is making its way back on the market, as not only being autochthonous it is also sustainable for the region. We tasted zelen wine from the Žorž winery, aged for two years , which made its aroma brave and strong. Next winery on our sites was located above the Vipava valley on Planina (mountain pasture). Overlooking the valley from the heights, offers a different climate and soil for the vineyards, suitable for the pinela vine. The color of the wine meets between a sparkling yellow and sunrise yellow color, flavor its mostly characterized by the marly soil which makes it very mineral and refreshing. Klarnica vine got is name by the gorgeous lady Klara, who used the lush green vine as a barrier from her admires. The wine flavor is fresh with a fruity note, very light and suitable for summer dishes. Visit to the region, cannot be concluded, without a taste of Vipava gastronomy. In the village of Slap you can find a hidden jewel, small and cozy restaurant called Majerija. Restored by the owners from the scratch, you can feel their passion in its atmosphere and every small detail. They specialized in the old recipes, that were transmitted from generation to generation. We tasted the traditional dish called jota, a stew made from potatoes, sauerkraut or turnip, beans and a slice of pork sausage to circle up the taste. The special touch of the chef is hidden in a reduction sauce that garnishes the dish with a gentle acidic note. As a regional recipe there are the traditional štruklji, dumplings made from puff pastry, that seasonally change their filling. This time we tried them with tarragon and homemade cottage cheese. Absolutely delicious. Slovenia is a very diverse country with many traditions and a common heritage, that was widely influenced by the past. Therefore take your time, while exploring each destination, the warm friendliness and hospitality of the local people will not let you down, even better, it will most probably inspire you with the passion they transmit to their work.